And Features At Half The Price! CHECK THIS OUT! THE TINY GIANT KILLER IN AUDIO RECORDERS! More Than Twice The Recording Time At Half The Price! Micro SD Card Slot For Expanded Memory! "2010 Because It's Two Years Ahead Of It's Time! " Out Of Date And Ready For The Spy And Private Eye Museum! UP TO 325 HOURS RECORDING TIME! 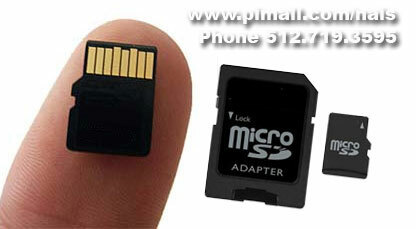 NEW AUTOMATIC TELEPHONE/CELL PHONE RECORDING WITH EXPANDABLE MEMORY VIA MICRO SD CARD! Audio Recorder Renders Other Recorders Obsolete! Smarter, Lighter, Cheaper, Better And With More Memory! If you want last year's older out dated recorders that is fine as we are closing them out at reduced pricing to make room for the new generation StealthTek 2010 which is a new generation recorder that is smaller, cheaper, better and with more memory than any other digital recorder in it's class! Not only is StealthTek 2010 a whole lot smaller than the other recorders in it's class, it's internal memory starts out at 1 GB at about the same price of recorders with less than half that amount! Not only that, StealthTek had a micro SD card slot that lets you add up to 4 GB more memory. In fact, this recorder make the other recorders in it's class look like a Dinosaur in both size, price, color, memory and function! You can now forget what others call "Jet Black." This recorder is non-reflective Spy Plane Stealth Black with no highly visible shinny sliver trim and it doesn't reflect light back to one's eyes like the Forus Recorder does! Forus Jet Black color reflects light back to one's eyes calling attention to itself. The new stealth black color of the StealthTeK recorder does not. It's so small and so stealth in color, she's almost invisible! 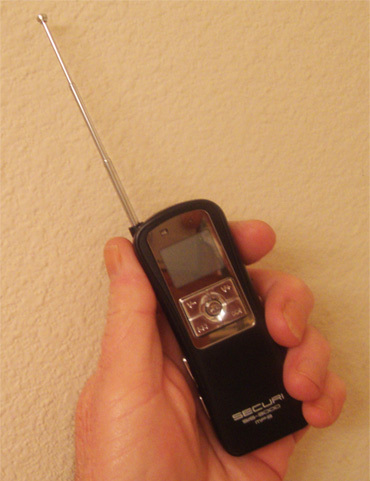 Above is a Photo of the new StealthTek Audio 2010. It's twice the recorder at half the price of like models. 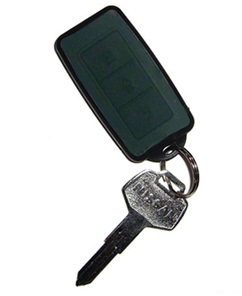 It's specifically designed for the investigative market place. There is no shiny highly visible silver trim that reflects sun and calls attention to itself as well as draws one's eyes to it because of it's shinny silver top, bottom and trim. This is the giant killer of 2008. It's, smarter, cheaper, better and with more memory than any of it's competitive models and completely stealth with no shinny parts. Worldwide Exclusive! Up to 325 hours of recording time makes this recorder the choice of the professional. Forget all the other now outdated audio recorders and get the latest in technological innovation. You will be light years ahead by using today's technology instead of last year's technology. WARNING! Don't Buy Last Year's Technology! The Profusion Confusion Is Now Over! Why buy a recorder with less memory and more viability with it's shinny parts when you can get today's cutting-edge Stealth technology With SC Card Expandable Memory for less dollars! RENDERS OTHER RECORDERS OUT OF DATE AND READY FOR THE SPY & PI MUSEUM!
" Numbered 2010 Because It's Two Years Ahead Of It's Time! " We are highly delighted and excited to present the StealthTeK 2010 digital audio recorder and this is technological innovation at it's best! Last year's Forus Recorder in light reflective shinny black and shinny reflective sliver parts that made them stand out like a sore thumb is now rendered out of date when compared to StealthTeK Audio. In fact, the new StealthTeK audio recorder makes the other recorders look like dinosaur in technology. The new StealthTek Audio solves all those problems and renders the other recorders in it's class a thing of the past that needs to be relegated to the Spy And Private-Eye Museum where all old outdated and obsolete recorders go when they die. The new generation SteathTeK Audio 2010 is the tiny recorder that kills the giants with their larger non-stealth recorders that was last year's and last decade's technology.Not only is the StealthTek Audio Recorder the latest technology in stealth, shape, color and design, it gives you well over twice the recording power at half the price when you compare it to other like models. This is the only recorder you will ever need to buy! The New Stealth 2010 Digital Recorder has 1GB of internal memory to record 65 hours and has an expansion slot for a Micro SD card. The StealthTeK Digital recorder is compatible with up to a 4GB card and allows up to an additional 260 hours of recording time. This recorder is perfect for any type of investigative use as it was specifically designed from the ground up for that function! Voice activated recording in MP3 format or WMA make this versatile recorder top of the line and the newest recorder on the market today! Make sure you obtain the latest technology and not the technology from last year cot five years ago by selecting a StealthTek Audio 2010 and leave old outdated technology to others. While we know there are many different recorders from a number of different sources that are imported into the US market, we decided to take a different approach to the needs of those who need a good long play small audio recorder. That is, go to a highly respected recorder manufacture and have them make a recorder for the investigative industry to industry specifications, not something with shapes, trim, features and so forth made for another market. We came up with this design because it is easy on the hand, easy to use, very small, very black and very stealth with no shinny parts to attract attention! Stealth will fit in the palm of your hand with instant recording ability when you need to do that. It's instant telephone recording connection make it an ideal automatic telephone recorder that will record both sides of telephone conversation. She is so small and so dark with no shinny parts most would not even notice it is even when it's simply out in the open. Not only that, in our exclusive design of this recorder, we gave our recorder developer a challenge! That was to make a recorder not only specifically for the spy, private-eye and investigative market, but make it with twice the recording power at half the price! They came through on that will flying colors! Features And Benefits You Will Like! • Excellent High End Sound Recording Results! The New StealthTeK Audio 2010 gives you superior high end recording results in a tiny compact size! Sampling rate is highly superior to other digital recorders. • Recording And Cell Phone Call Recording! The new generation StealthTeK Audio 2010 lets you use the highly advanced digital recorder as a hand held recorder or desktop recorder to record interviews. The internal micro boaster amplified mic technology is so sensitive, it can record a low whisper of sounds 50 feet away! With the telephone recording control adapter, it will record both sides of a telephone conversation and only record when the telephone is in use. You can also use the included cell phone adapter to record both sides of a cell phone conversation. With the Micro SD card slot, you can add more memory to your state-of-the-art SteathTeK recorder simply by inserting a tiny Micro SD card. SteathTeK Audio 2010 already packs an amazing 1 GB of memory which gives you 65 hours of recording time. However, by adding a 1 GB or 2 GB Micro SD card, you can add up to 325 hours of recording time! There is no longer any need to worry about running out of recording memory with this new technology! Not only that, you can use micro SD memory technology to segregate your audio evidence! When one case or interview is over, simply remove the micro SD card, insert a new one and move on to the next case or next interview. This new generation marvel is very small and very stealth. Totally spy plane black with no shinny trim to cal attention to itself! You'll love using it for all your audio evidence gathering operations. • Easy User Friendly Operations! While there are a number of recorders on the market that have some advanced functions like the StealthTek Audio 2010, they are difficult to learn to use. This state-of-the-art marvel is very different with intuitive button controls you can learn to use in a matter of minutes right out of the package! The ultimate in stealth color, this new generation recorder features new spy plane dull black non-reflective color technology you will enjoy that no other recorder can claim! Like many other digital audio recorders, there is nothing else to purchase since you get everything you need in one small, smart and state-of-the-art package. On The Left: Watch The Rotations And See StealthTek Audio 2010 From All Four Sides. On The Right: Diagram Of The Complete Kit-Everything You Need Is Included! So Stealth, it's almost invisible! Get the new StealthTeK recorder today before you get left in the dust and become obsolete like last year's outdated recorders will become! 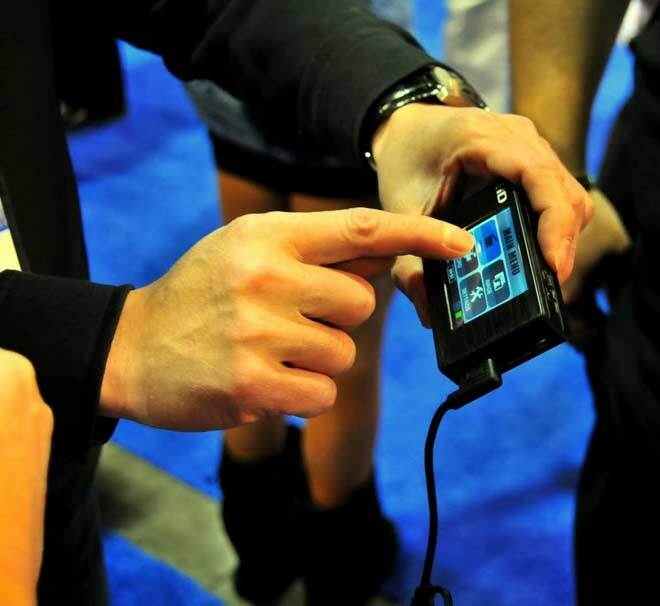 Preorder your Stealth Recorder today and be the very first in your area to use the new StealthTeK 2010 technology! 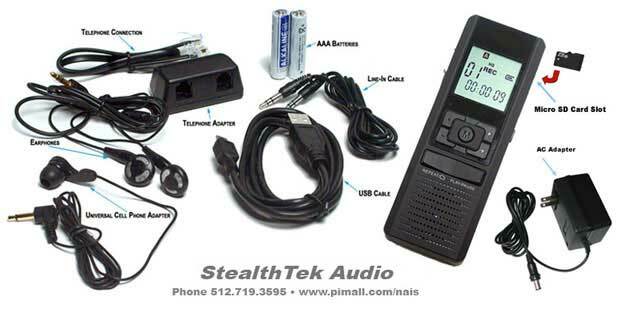 StealthTek 2010 Audio Recorder- Simple, Black, Small And Stealth! you insert them into a standard SD card sleeve for audio transfer. 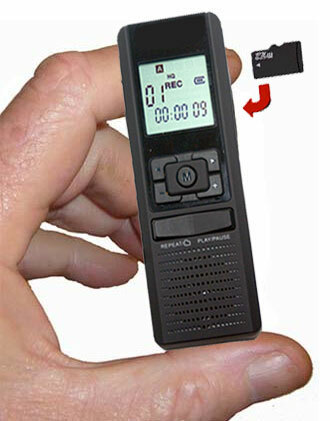 StealthTek 2010Audio Recorder- Simple, Black, Small And Stealth! And Wiretap Detector Built Into One Micro Sized High Tech State Of The Art Unit! 520 Hour Digital Tape Recorder, RF Bug Detector And Wiretap Detector Built Into One Micro Sized High Tech State Of The Art Unit! Why Invest In Several Different Investigative Function Units When All You Need Is One! COVERT AUDIO RECORDING HAS BEEN REINVENTED! And Covert Audio Recording Will Never Be The Same Again! with one button recording and one button stop. It can record for up to 15 hours and gives you fast USB evidence download to your computer. Quick and easy! You can learn to use this in 30 seconds. Never again will you lose the evidence you need. BETTER, CHEAPER AND WITH MORE ACCESSORIES THAN EVERY BEFORE! SUPER HIGH DEFINITION! TINY DVR NOW POWERS ANY CAMERA! LAW ENFORCEMENT GRADE! TAMPER PROOF DIGITAL WATER MARKING BUILT IN! EASY AND QUICK SCREEN OPERATIONS AND SETTINGS! MANY FREE ACESSORIES NOW INCLUDED! OTHER MASSIVE SELECTIONS!